Welcome to Hart Springs, one of the largest spring-fed swimming areas in the state of Florida. Enjoy camping from tent to full hookups, picnicking, boating, fishing, swimming, snorkeling, birding, biking and hiking. Access 55 miles of Gilchrist County river shoreline, and enjoy an abundance of refreshing natural springs. Stroll down the half-mile boardwalk and rent canoes, kayaks, tubes of all sizes, bikes, basketball, volleyball and horseshoes. 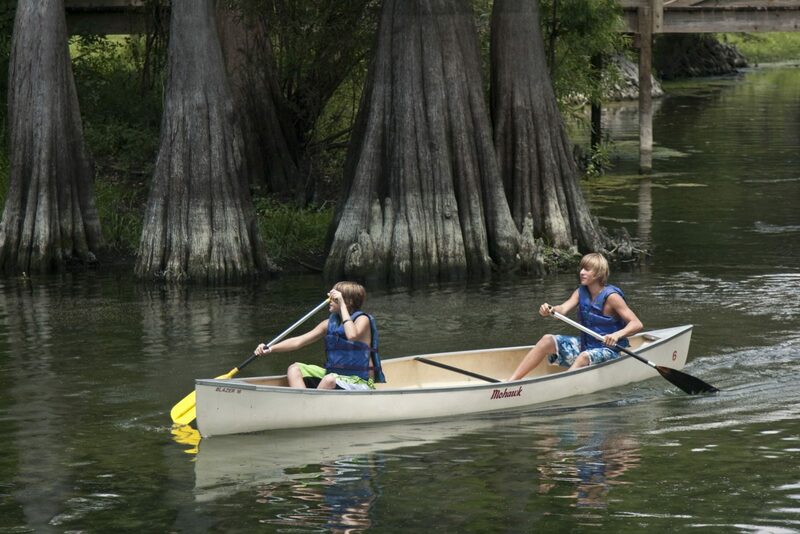 Hart Springs Park and Campground is a family-oriented recreation area, accessible by car and boat. Daytime access available; hours are 10 a.m. to 5 p.m. daily; 9 a.m. to 9 p.m. daily Memorial Day through Labor Day.